← Yoku Iwareta: I Get That A Lot. I have solemnly come to crash this wedding. At the end of a recent anime (High School DxD), a forced wedding is being crashed by the above youth (with the fancy gauntlet). He couldn’t accept being defeated and seeing the lady he served carried off in a wedding she didn’t want. That, of course, is because the bridegroom is a complete jerk. Yakusoku (約束、やくそく): A promise. While anime presents promises as having almost supernatural power, and sometimes not “almost”, let’s put this in context: trust is extremely important to Japanese society because people want to know a friend, a business partner, a longtime client, etc., will not betray them. Betrayal is very painful and deeply frowned on… but it happens. It’s part of why trust is so emphasized. Mamori ni (守りに、まもりに): From “mamoru”, usually “to protect” or “to guard”, but it gets translated as “to obey” too because “rule o mamoru” is to follow the rules. In fact, I’d prefer “follow” there, but “obey the rules” does work. The “ni” works as a “to” here. We’ll get back to that in a sec. Kimashita (来ました、きました): Polite past form of “kuru,” to come. If you haven’t learned verbs yet this can be hard, but otherwise is very simple grammatically. (I’ve) come to keep my promise! In other words, you didn’t see an I or a have in that sentence, but they’re implied strongly and, well, what else could it mean? 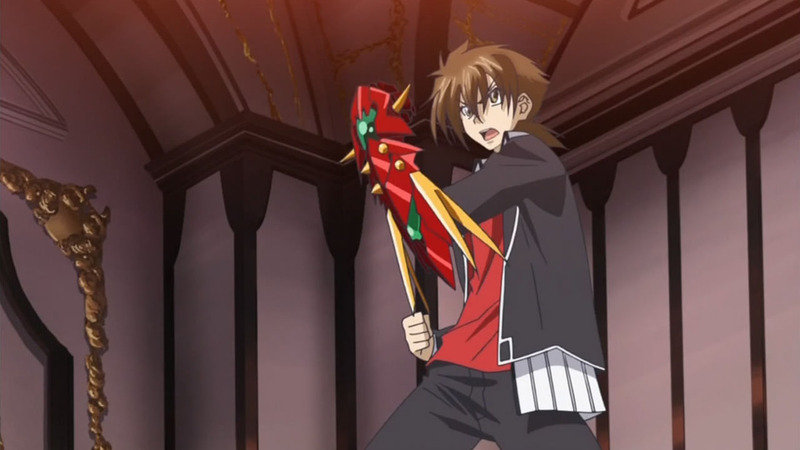 This entry was posted in Anime, Culture, Japan, Japanese, Languages and tagged anime, culture, High School DxD, Japanese, keep, language, learn, mamoru, promise, yakusoku. Bookmark the permalink.